Four years ago, by way of what I think of as holy happenstance, cosmic coincidence, and divine design, I crossed paths with a man with a heart as big as he is tall. His yoga trained, flexible frame is 6’5″. Kurt Koontz is an author, speaker, yoga teacher, and consummate world traveler. Not sure who the initial connector was, that brought us together, but I am grateful that they did since he inspires me to live my life full out, casting fear to the wind. My sense is that he considers both Boise, Idaho and the entire world his home. Oh, and then there is his heart, as he discovered when he traveled to India this year, for the third time (if memory serves) which is his true abode. With a history that includes addiction in his family; sadly he took up that sword and shield, but blessedly put it down 17 years ago, he was determined not to allow it to drain his life as it had both his father and stepfather. Retiring at age 36 to travel around the world, Kurt was on a trajectory that led him to hit the road and write his book A Million Steps, which came to be after his month-long journey along the Camino de Santiago in 2012. The title of the book came from his estimation that his long-legged stride took him approximately a million steps to traverse the terrain through the Pyrenees from France to Spain. The Camino has called to people since medieval times to trek the 500-mile path and was popularized by the film The Way starring Martin Sheen. Kurt finds India to be a deeply spiritual place that calls him over and over. 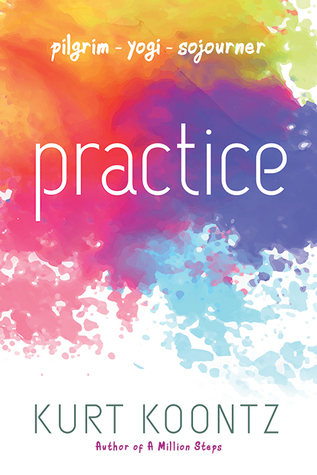 This most recent trip led him to write a book entitled Practice. This consummate storyteller takes the reader on the path with him without the need for a passport or yoga mat. From the moment he sets foot on the holy ground of Mother India to the time he creates a home yoga room, upon his return, the essence is one of being there with him. I felt like I was being introduced to the children, animals, the various teachers, and artists, healers, friends and random strangers he encountered along the way. I was particularly moved by the chapters on death since I have just experienced the passing of a dear soul friend. In Indian culture, the transition from one existence to the next is viewed as an intimate experience, not one that is sanitized and distant as it is in American culture. This kindred spirit who he calls Goddess, bows with reverent Namaste to her ‘pilgrim-yogi-sojourner’ friend. Om Shanti, Kurt. The post Soul-full Sojourner appeared first on The Good Men Project.